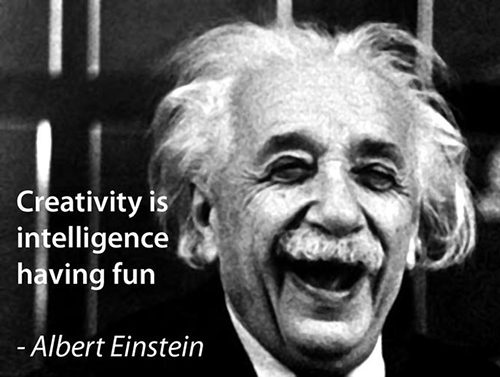 Albert has used two words here that a lot of people struggle with – Creativity and Fun. They can both be seen as time wasters, but make no mistake, if your team are not having fun you will be experiencing burn and churn. If you are not being creative you will be replaced by your competition in the not so distant future. At the Mind Gallery we religiously start the day with a coffee (or maybe two). My husband thinks this is all we do but thats another story (but he is an accountant). During our coffee time we connect and focus on whatever we are currently working on. Then while we are all together in this relaxed way, the creativity naturally happens. We come up with all sorts of whacky suggestions, which often become the seeds for something that is actually doable. The time we spend having our coffee and getting creative actually accelerates our performance for the rest of the day. So in effect it is cost neutral – (I am still to convince the husband on this one, as he tots up the ever using cost of coffee).